Runyon Up is the first charitable stair climb to be held at Salesforce Tower, the tallest building in San Francisco. Participants will climb to the 61st Floor and enjoy the stunning panoramic views from the top – all in support of cancer research. 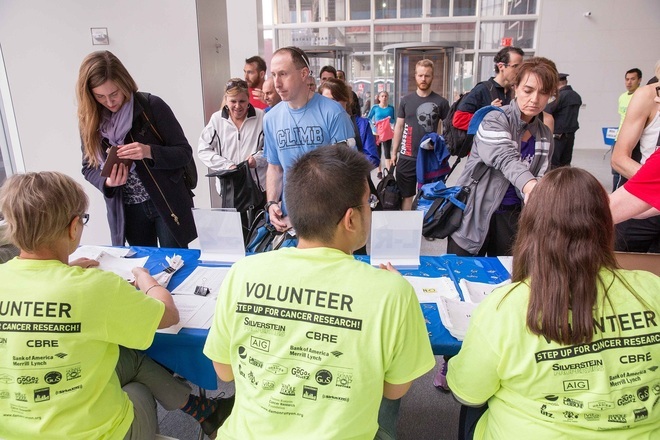 Volunteering is a great way to take part in Runyon Up and there are plenty of tall tasks we need help with on event day! 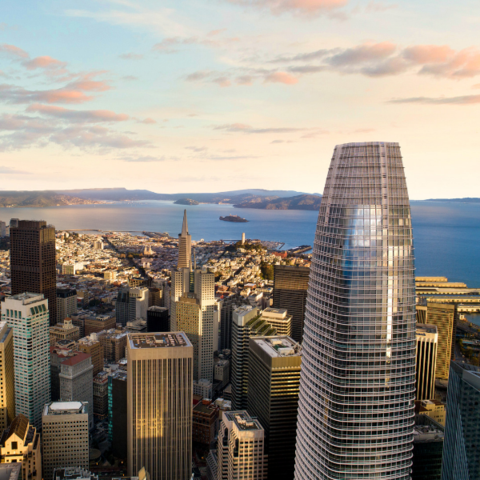 We're looking for enthusiastic and reliable volunteers to help out with everything from set-up and breakdown to cheering on participants as they climb the stairwell of Salesforce Tower on Sunday, October 21, 2018. We welcome individuals as well as corporate and community groups, and hope to see you at Salesforce Tower for what promises to be a great day in support of young scientists and innovative cancer research. Volunteers must be at least 13 years old on event day. All volunteers must present a valid government issued photo ID or student ID upon arrival at Salesforce Tower on October 21. Volunteer activities take place on the day of the event – Sunday, October 21, beginning at 7:00am. For more information, please email [email protected] or call 212.455.0503.